Because we do not rely on insecticides to deal with creatures that want to eat our crops we have to have other means to ensure that there is enough left for us to eat. Here we take our lead from nature. In natural balanced ecosystems one species rarely gets chance to take charge and eat everything. However, this is what happens in the human world. In nature each species has something that either competes with it or eats it; things are in balance. If the numbers of any one species are increased because of favourable conditions, another species that eats it will also increase its numbers to take advantage of the bounty that nature has presented for it, thus restoring the balance. In human agriculture, in order to feed ever greater numbers that live far away from where their food is grown, to cover losses in waste, 3 for 2 offers and stuff that just didn't get eaten by the sell by date, we have come up with industrial systems of growing massive mono cultures of certain species of plant. We create massive imbalances which insects would take advantage of if left unchecked. This 'checking' is only possible by using chemicals and other un-natural means to control their numbers. This is compounded by the fact that the act of spraying with insecticides also kills off the natural enemies of these so called insect 'pests', so there is nothing around that could naturally control pests either. 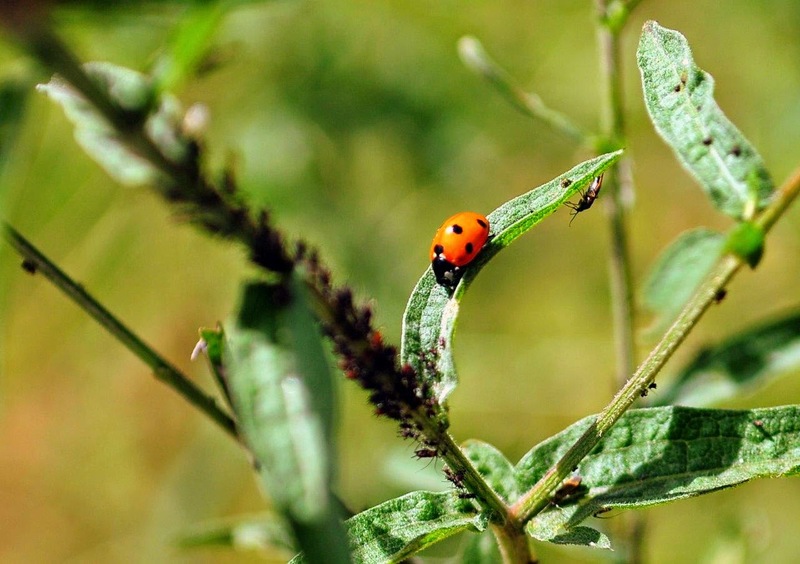 In organic farming we look to nature to do much of this for us and we aim to create an environment rich in biodiversity so all the 'pest predators' can get on with their work. A few billion years of Research and Development by Mother Nature beats anything that we can make in a lab; we just need to sneak some veg of our own in amongst it all for us to eat. I am over simplifying now, but I hope you get the point. It is not only dealing with so called pests that we rely on nature. We also need to encourage insects for pollination through bees (both honey and wild) and other pollinating insects. Our Birds, Bees, Bats and Bugs 'mission' is our answer to create a bio-diverse growing oasis in the middle of a monoculture industrial farming landscape. We need to set up our own local environment with woodlands, meadows and wetlands to put some balance back. We need to create our own local habitats for these creatures which is why we will have planted over 1000 trees and hedgerow plants on our small site this winter and early spring (2013/14). But we need to do much more. We need to plant more trees, dig some habitat ponds, plant and sow wild flowers. We need erect a building to provide nesting sites as well as our human needs for storage. We need the means to propagate plants that will help us on this mission. Our whole approach is to integrate our own needs for providing food for our community with the needs of nature in a sustainable way. Using areas of our land as natural habitat is not seen as wasted and unproductive, it saves buying fuel and agrochemicals; the ultimate in 'local' solutions.